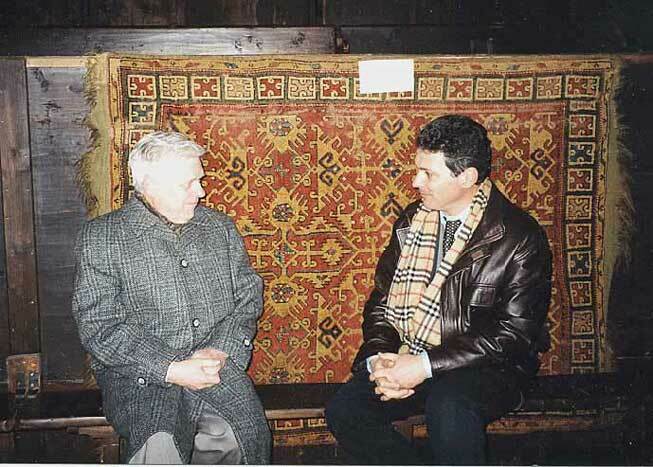 March 2001 – E. Hellmann and Stefano Ionescu: taking the challenge! 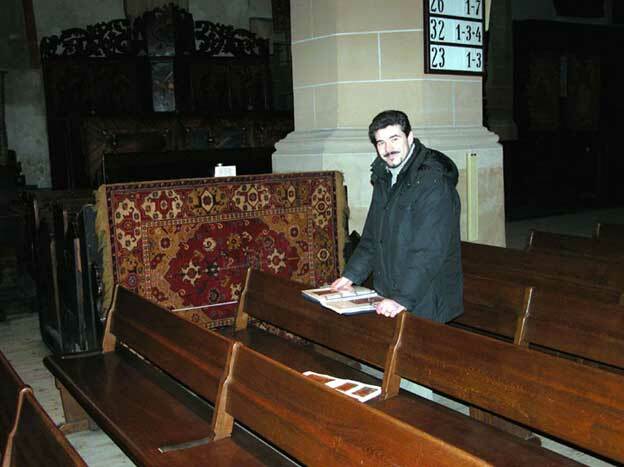 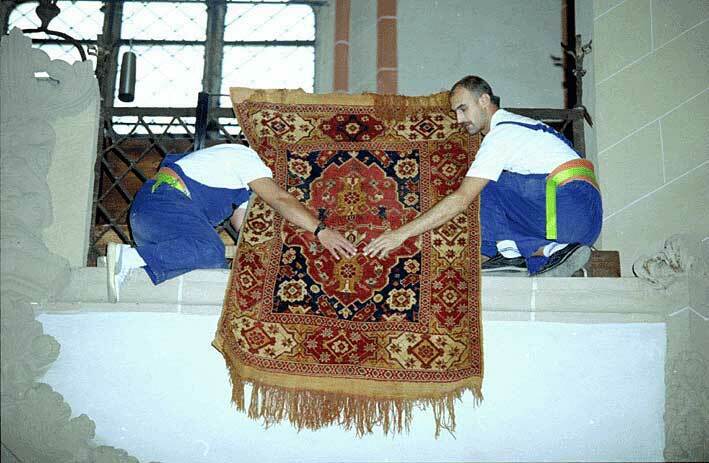 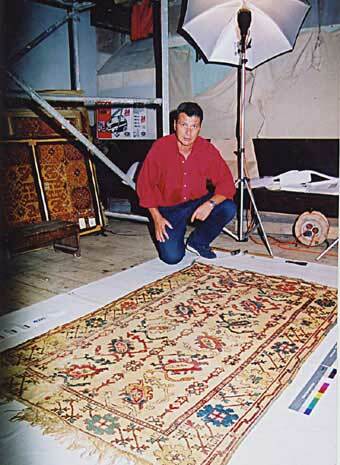 August 2002 – R. Dinulescu checking the washed rugs. 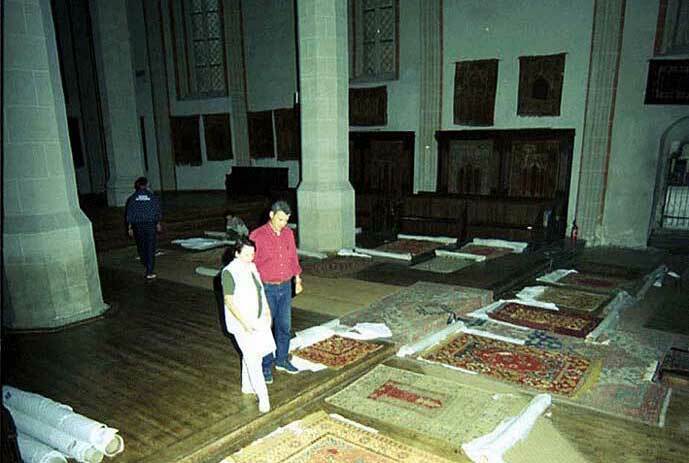 August 2002 – The Altar of the Black Church filled with rugs which are not on display. 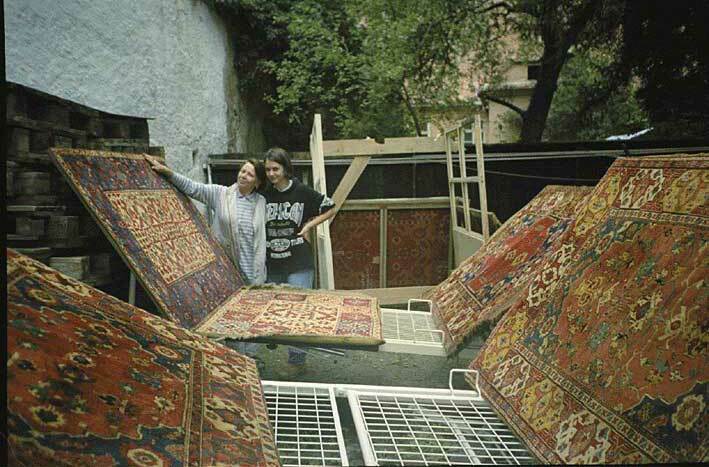 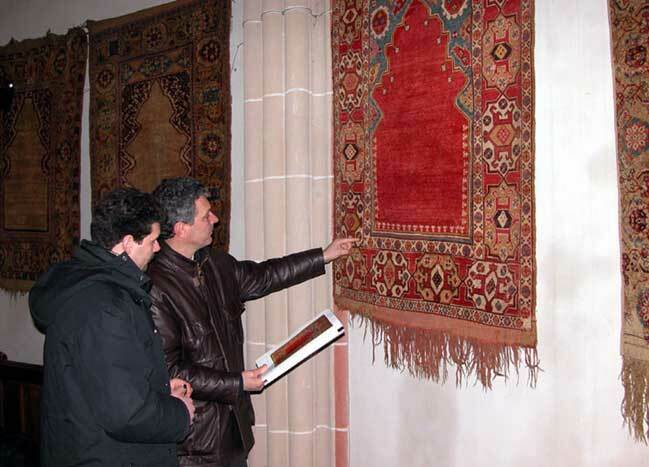 August 2002 – R. Dinulescu and S. Ionescu taking a look at a unique “Ghirlandaio”. 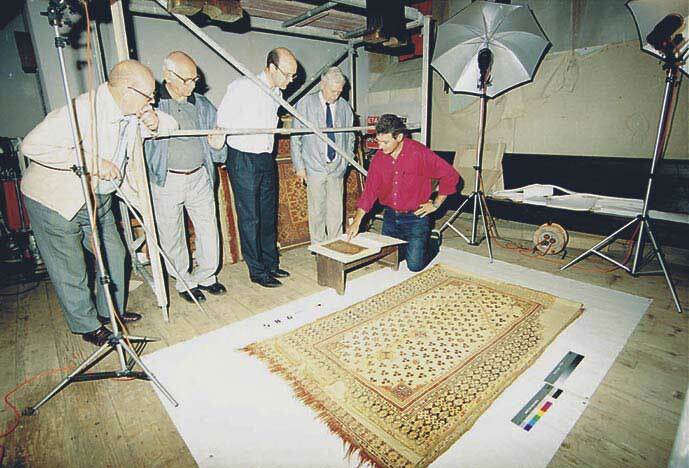 August 2002 – A magic moment: checking the camera for the first shots. 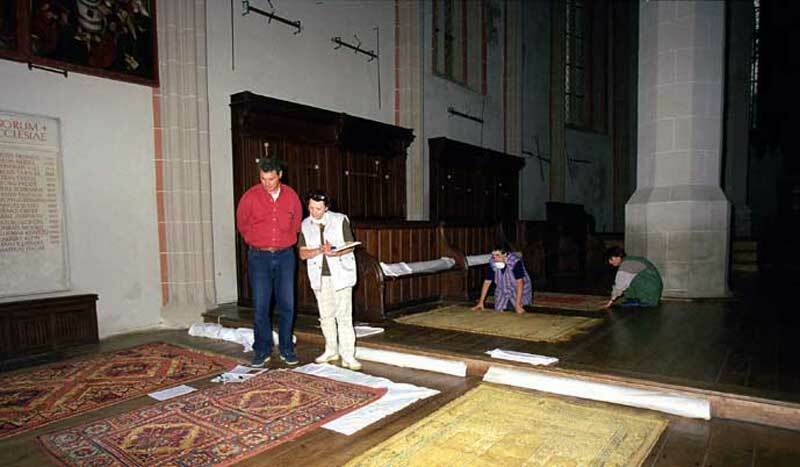 August 2002 – From left: A. Eitel and H. Schneider (Medias Parish) with Pastor Christian Plajer and E. Hellmann (Brasov Parish) checking a Chintamani on Schmutzler’s catalogue. 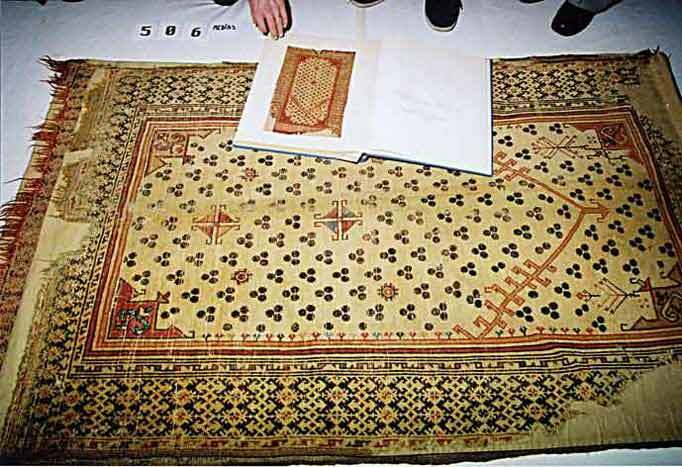 April 2003 – Comparing the colors of the carpets against the digital proofs. 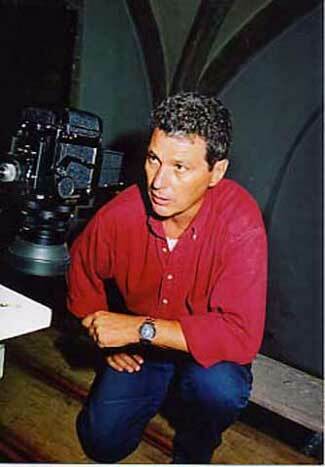 April 2003 – Vincenzo Selli from Rome, expert in color retouching during a session in the Black Church. 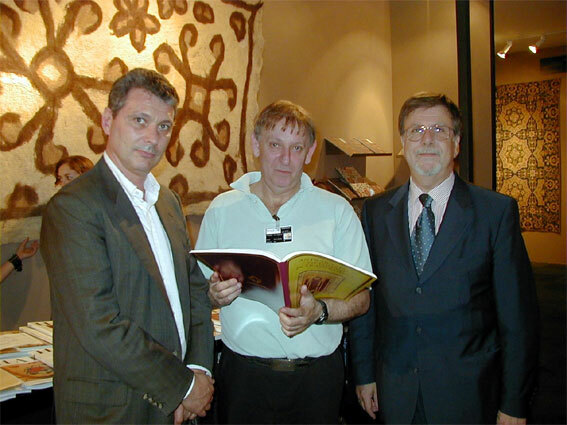 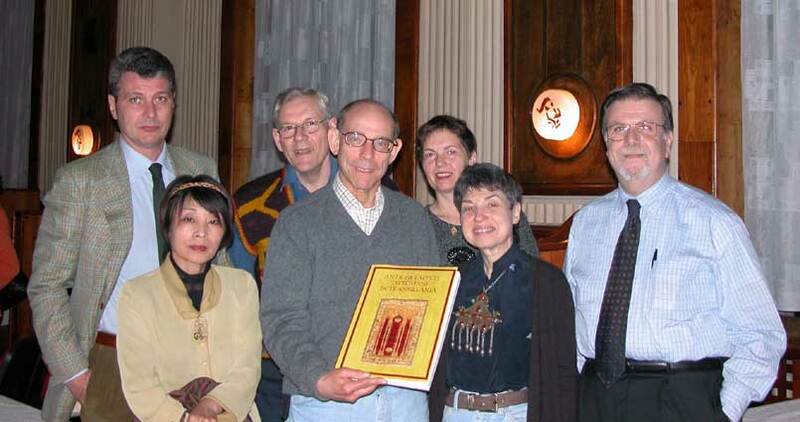 HALI Fair 2004: Presenting to Daniel Shaffer the final prototype of the book.